Within the campaign story, which spans these two eras, players will see familiar faces such as Alex Mason, his son David Mason, and Sgt. Frank Woods. To understand such a possible future, you must understand where you have been. Item Type: PlayStation 3. Platform: Sony PlayStation 3. No manual included. Signs of wear can include aesthetic issues such as scratches, and discoloration. They maybe marked, or have identifying markings on it, or show other signs of previous use. Call of Duty: Black Ops II 2 PS3 (Sony PlayStation 3) **GREAT SHAPE** MINT DISC! Call of Duty: Black Ops II 2 PS3 (Sony PlayStation 3) **GREAT SHAPE** MINT DISC!. Condition is Like New. Shipped with USPS First Class Package. 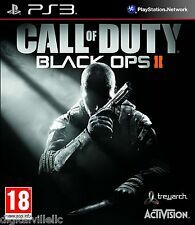 4.5 out of 5 stars - Call of Duty: Black Ops II 2 PS3 (Sony PlayStation 3) **GREAT SHAPE** MINT DISC! 457 product ratings457 product ratings - Call of Duty: Black Ops II 2 PS3 (Sony PlayStation 3) **GREAT SHAPE** MINT DISC! 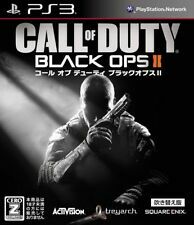 Call Of Duty Black Ops 2 II Playstation 3 PS3 Game. Condition is Good. Shipped with USPS First Class Package or media mail. Ps3 Call Of Duty Black Ops And Black Ops 2. This sale is for both games. Condition is Acceptable. Shipped with USPS First Class Package. In addition to the three CALL OF DUTY discs I will add UNCHARTED 1 AND UNCHARTED 2 ( Whit out case). Hardened Edition includes Limited Edition Challenge Coins. Exclusive Player Card Backgrounds. US only (including Alaska/Hawaii). No international, APO/FPO or PO Boxes. It is not a physical product (it is NOT a physical disk). Important: You will not receive any physical item. Call of Duty: Black Ops II DISC ONLY (Sony PlayStation 3, 2012) FREE SHIPPING. Condition is Acceptable. Shipped with USPS First Class Package. Call of Duty: Black Ops 1 & 2 Combo Pack Sony PlayStation 3 PS3 New! Free Ship! 5 out of 5 stars - Call of Duty: Black Ops 1 & 2 Combo Pack Sony PlayStation 3 PS3 New! Free Ship! 72 product ratings72 product ratings - Call of Duty: Black Ops 1 & 2 Combo Pack Sony PlayStation 3 PS3 New! Free Ship! Disc and manual are in good condition. The object for sale is ONE item (unless otherwise indicated). FACTORY SEALED. CALL OF DUTY. call of duty black ops 2 ps3. Condition is Very Good. Shipped with USPS First Class Package. Picture is of the actual item you will receive. 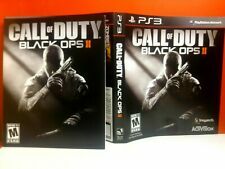 Call of Duty: Black Ops 2 II PlayStation 3 PS3 Game Disc Case Fast Shipping! Condition is Good. This item does not have case artwork or manual. Trending at $11.02eBay determines this price through a machine learned model of the product's sale prices within the last 90 days. Call of Duty: Black Ops II 2 Hardened Edition (PS3 2012) FACTORY SEALED & MINT! • This is an amazing copy to add to your collection! Very nice looking copy! 5 out of 5 stars - Call of Duty: Black Ops II 2 Hardened Edition (PS3 2012) FACTORY SEALED & MINT! 21 product ratings21 product ratings - Call of Duty: Black Ops II 2 Hardened Edition (PS3 2012) FACTORY SEALED & MINT! Pre-owned, lightly played. Collector coins never removed. Tested and working. Disc looks good. Including several light scratches, scuffing, and shelf wear. Call of Duty: Black Ops 1 & 2 (Sony PlayStation 3, 2015) PS3 CIB. Condition is Good. Shipped with USPS First Class Package. Platform: Sony PlayStation 3. Release Year: 2015. Our support team is highly dedicated to handle all your needs. You receive these with no fees, and. Call of Duty: Black Ops 2 II (PlayStation 3 PS3) - Disc Only Tested & Works. Condition is Very Good. Shipped with USPS First Class Package. 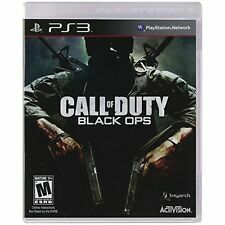 Call of Duty Black Ops ps3 brand new Modern Warefare 2 Used. Condition is Brand New. Both games are included in this listing. Black Ops is new and Modern Warefare 2 is used. If you have any questions please feel free to contact me. Thank you and be sure to take a look at my other listings! Shipped with USPS First Class Package. Hardened Edition. Limited Edition (2) Challenge Coins. Exclusive Player Card Backgrounds. Condition: NEW and FACTORY SEALED. Platform : PlayStation 3, Playstation 3. greatest hits, platinum hits, or the player’s choice label. Playstation 2. Playstation 3. Playstation Vita. Condition : New. "Poised to blow you away" - G4.